To many people, dogs are considered members of the family—irreplaceable. When Andy L.’s beloved Blue Heeler, Apollo, passed away after 10 loving years, it took some time before he could consider bringing a new rescue dog into his life. 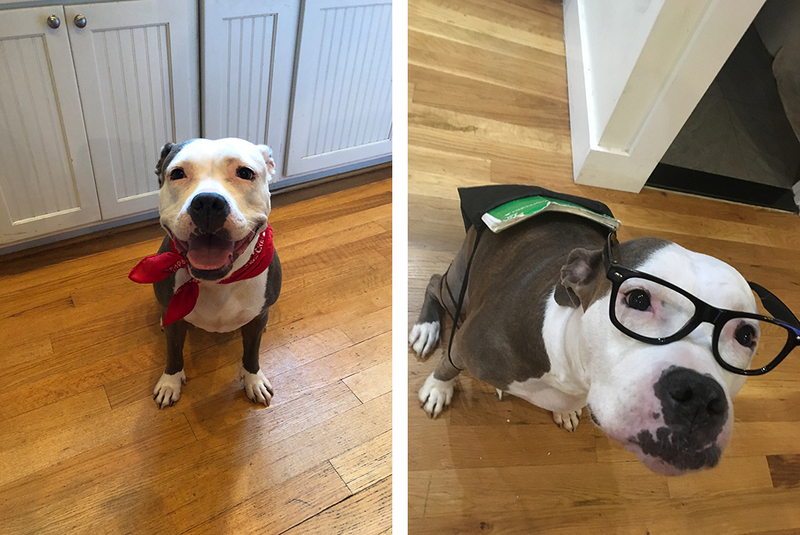 One year later, Andy decided he was finally ready to open up his heart and his home to a new furry friend. 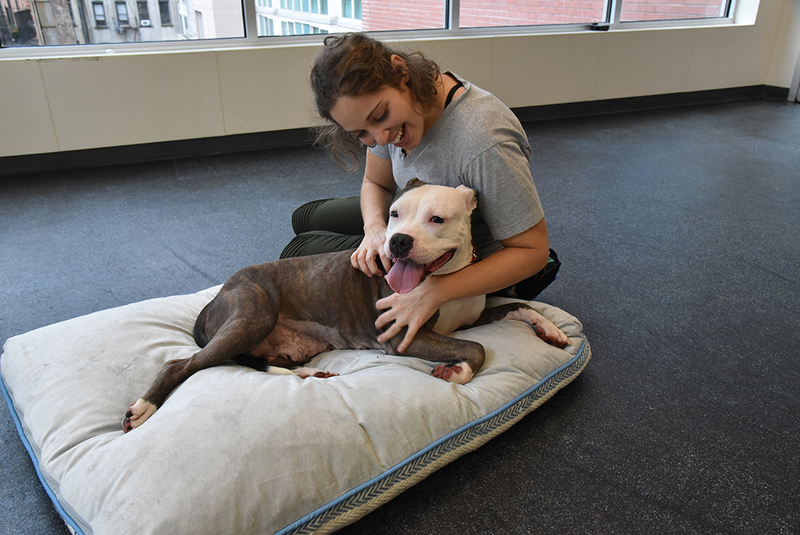 Andy came to the ASPCA Adoption Center in November 2017 and was taken on a tour by one of our dedicated volunteers. He was shown a lot of dogs that needed loving homes, but one in particular caught his attention. 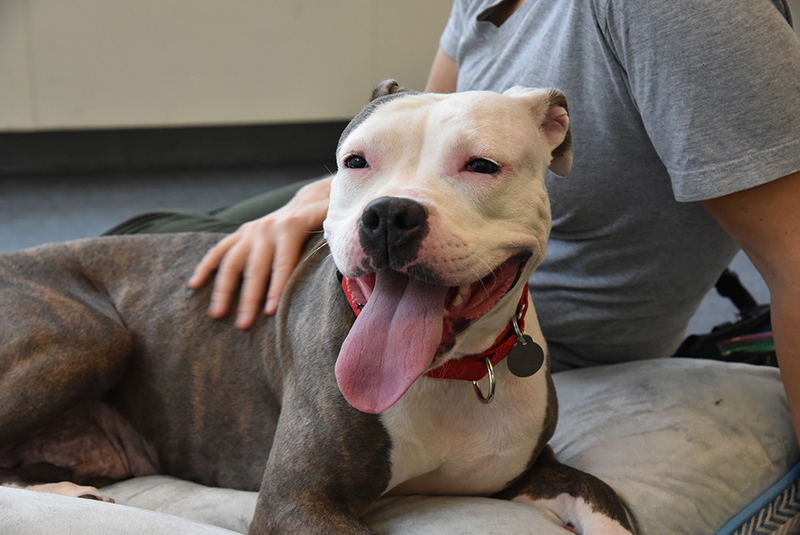 Idared was brought to the ASPCA in October 2017 by the New York City Police Department (NYPD). “Idared was a sweet but nervous dog during her stay in the Adoption Center. She had come from a home with several other dogs, and her stay at the shelter was probably the first time she had ever been alone in a space of her own,” ASPCA Behavior Manager, Rachel Maso, recalls from first meeting the sweet terrier-mix. Rachel warned Andy that Idared could be slow to warm up to people and scared of new things, but after Andy and Idared’s lively introduction, she could see a bond between them. As a pet parent, it’s a wonderful feeling to know that your fur baby loves you. Idared adores Andy, and the feeling is mutual! However, with every new relationship comes a new set of challenges. There are different approaches for treating separation anxiety. Andy worked with our Behavior team at the Adoption Center to ensure that Idared received the support she needed in her new home. 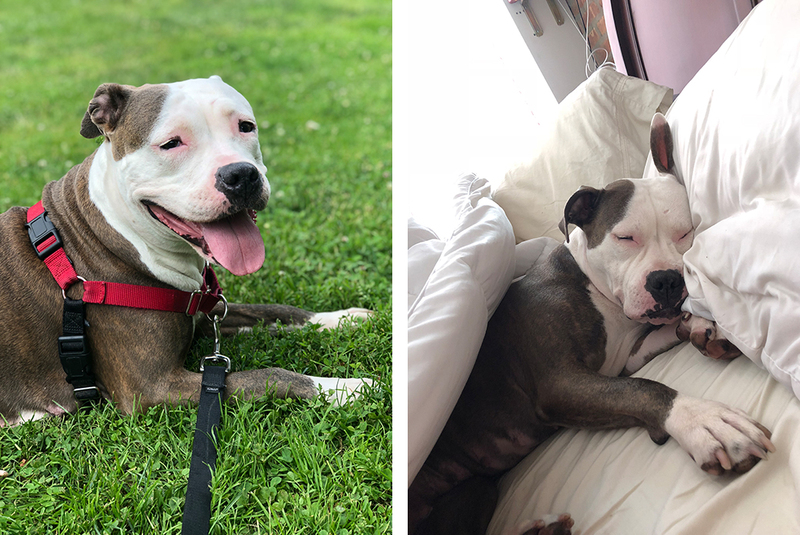 Andy made the adoption official in January 2018 after Idared—now named Maddie—had settled into life with her new dad. Andy continues to work to help overcome her anxieties. 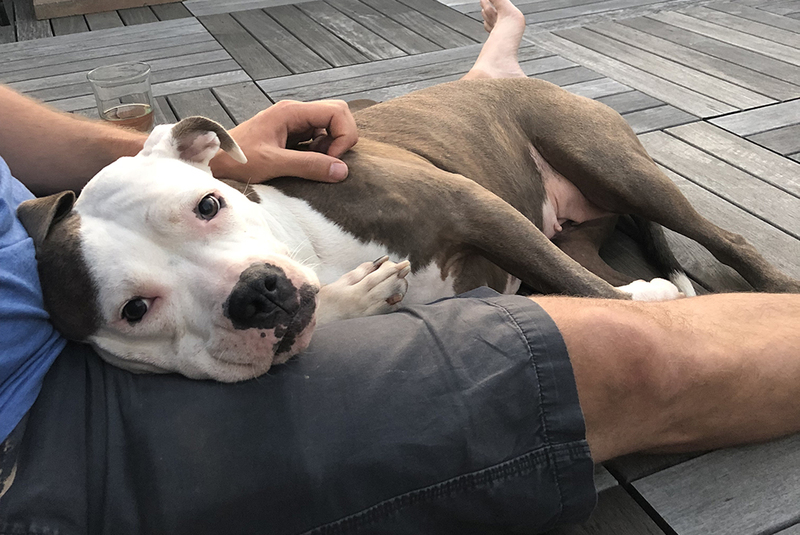 Maddie is truly living the good life now as her adopter, Andy, continues to be patient and provide Maddie with a loving home.